Capture your dreams, inspirations and treasured memories in this beautiful hardcover journal. 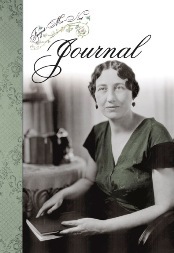 Cover features photograph of Maud Hart Lovelace. 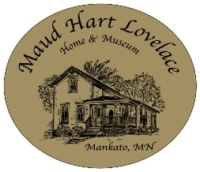 From the time Maud Hart Lovelace could hold a pencil, she was writing diaries, poems, plays and stories. 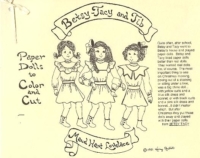 Her childhood memories became the basis for the beloved Betsy-Tacy books. When writing the books as an adult, she used the journals, diaries and scrapbooks that she kept as a young girl for her resource. Hard cover, 112 lined pp.